Want to create an elegant picture slideshow of Christmas? Or capture the excitement of a big party to share with friends? 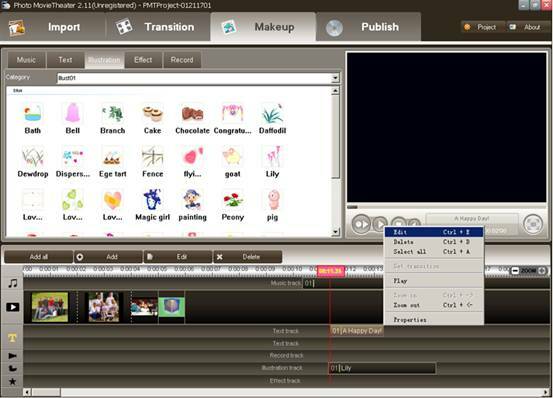 Or even want to make a wonderful HD video slideshow to record your precious occasions? Now, you can do all these and get more with Photo MovieTheater! This tutorial is mainly about how to make an entertaining HD video slideshow complete with photos and music for playback on most popular HD multimedia devices like PS3, PSP, Xbox, Apple TV at home or on the go. You can also upload the slideshow to website like YouTube to share with your friends. 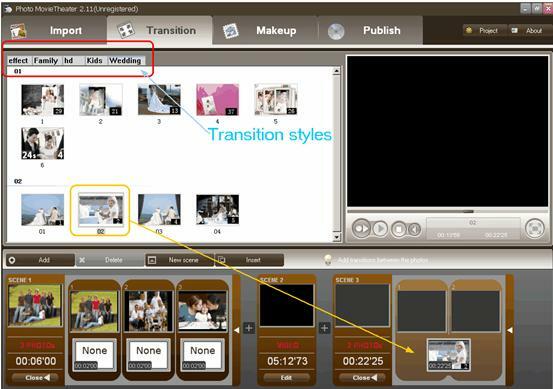 Import video clips and photos and then drag-and-drop them to the storyboard. 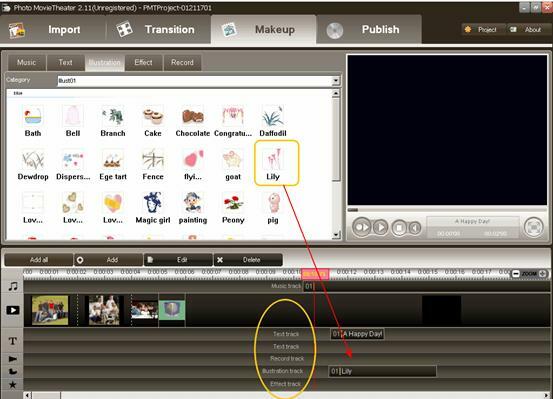 If required, you can double-click video clips or photos to edit the relative parameters. Preview animated styles first and then drag and drop your selected styles to the Storyboard. Various transition styles bring your photos to life. 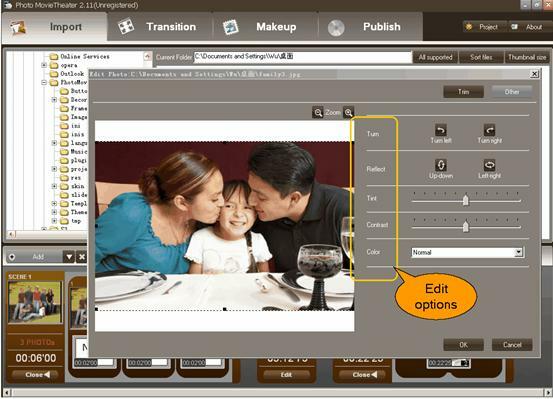 Photo MovieTheater provides array of built-in transition styles like wedding, kids, family and so on to add visual impact between photos. Add decoration to make your photo video slideshow more lively. Here you can add background music, customized text caption with different text effects, stunning illustration, animated effect and record to your photo video slideshow. In order to get better effect, you can also click "Edit" to adjust text parameters. 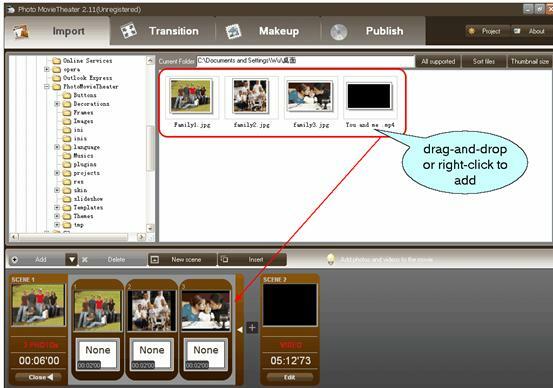 Select output format and publish your photo video slideshow. At last, you are just required to select an output format. Then you can upload your slideshow to YouTube or post it to your blog. Besides, you can also burn it to DVD to share it on TV, PSP, Xbox or other portable devices.